The NSA has reportedly sought the help of Germany's intelligence agency in spying on Munich-based Siemens over the company’s suspected business with Russian intelligence, Bild am Sonntag newspaper revealed. Siemens has denied any connection with Russia. The revelation came from an unknown US intelligence source speaking to Germany’s Bild am Sonntag, and is the latest report in a spy scandal involving a widening gap in trust between the Americans and the Germans. According to the report, the NSA had asked Germany's intelligency agency, the BND, to spy on European defense company Airbus and on Siemens. For the latter, the US explained its request by alleging that it had a contract partnership with a Russian intelligence agency. The NSA supposedly suspected the Munich-based Siemens supplied communication technology to Russia’s Special Communications and Information Service. In its separate comments to Bild am Sonntag and Reuters, Siemens has rejected any partnership with Russian intelligence. It also said it was “not aware of any facts in the company’s area of responsibility” that would warrant such close scrutiny of its work, Siemens spokesman told the German newspaper. 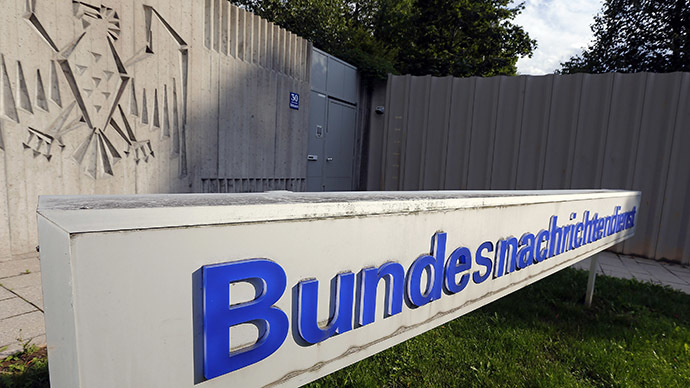 It remains unclear whether BND has satisfied the NSA’s request, the report said. The BND was not available for comment, Reuters said. Bild am Sonntag’s revelation comes shortly after German media reported that the BND stopped sharing internet surveillance data with the NSA on May 4. It allegedly demanded that the US spy agency first file an official request, explaining the need for the internet-based data from Germany’s Bad Aibling listening post in Bavaria, where 120 BND employees and some NSA technicians work. The US, however, refused to comply with the request, saying it was given at short notice. According to German media, the BND decided to limit its cooperation with the NSA to reshape future relations with the US agency. Relations between the US and German security services soured back in 2013 when Edward Snowden, a former NSA contributor, exposed the US spying agency’s surveillance of German government officials, including on Chancellor Angela Merkel. Nearly two years later, the scandal seems to be far from being resolved, as more revelations come out of the wooodwork. In April, Der Spiegel reported that the NSA had sent the BND thousands of so-called "selectors," which included IP addresses, emails and phone numbers, over the course of 10 years. The BND downloaded the NSA selectors into their monitoring system and used them to spy on targets, among which were European politicians, including French authorities, and European companies such as European Aeronautic Defence and Space Company (EADS), Eurocopter, and the European aviation consortium Airbus. On May 4, Chancellor Angela Merkel, who supervises the BND, tried to defend its spying activities, saying that she will fully cooperate with a parliamentary investigation into the revelations. She said she would provide “all the details” necessary. Merkel, at the same time, said that it was imperative both agencies continue cooperation in the fight against international terrorism, but reiterated that it was unacceptable to spy on friendly nations.